Do you remember the Christmas song Do you hear what I hear? My favorite parts are Do you see what I see and Do you hear what I hear !! Can you imagine what it must have been like when the wise men and the shepherds were told by an angel about the birth of Jesus Christ? They had not seen Him with their own eyes but they started on a journey based on a dream or vision they had. For all they knew it could have been a disillusion. They chose to take the word they received and start their long journey to find this baby that was born to deliver them. I can imagine in my mind that as they traveled they would begin to get discouraged and then they would look into the sky and see that North Star that was their guidance. Then they would begin to imagine the sounds of the new baby Jesus and they would get so excited about the dream of a savior coming to lead them and save them. Just like God spoke to them about their journeys, He wants to show you the path you are to take. Take time over the next few days as we begin to celebrate Christ birth and ask God what His dreams for you are. Then listen and watch for the leading of the Holy Spirit. 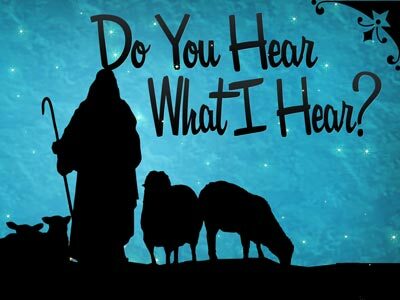 You will begin to hear His voice like never before. You will SEE His guiding hand in every area of your life. Let Him give you the desires of your heart. This entry was posted in Uncategorized and tagged Christmas, direction, Dreams, Faith, family, Goals, God. Bookmark the permalink.